Mankirt Aulakh seems to be the rising king of the world of Punjabi music. The Punjabi music is reaching the zenith of success with each passing moment, and talented musicians like Mankirt Aulakh are taking Punjabi music to a new level altogether. This 28 year old singer specializes in myriad genres of music like Bhangra, R&B and DesiHip Hop, and other than being a very talented singer; Mankirt Aulakh is also an actor. Mankirt Aulakhs claim to fame lies in the song “Kaka ji” and after this there was no looking back. Following this he has sung innumerable songs like “Munda Guggu Gill Warga”, “Jatt di clip”, “Disco Ch Bhangra”, and “Daru Band”. His latest song, “21 Century”, seems to have taken the netizens by storm. The song, within just a few days of its release, boasts of as many as 3 million views on YouTube. With the soaring demand of masaledaar Punjabitracks, 21 century seems to have met the taste of the fans. The song has that amazing hip hop beat which we all look for in any Punjabi number. The hip hop beats fused with the funky lyrics of the song definitely makes 21 century one of the greatest party anthems of the year. The song has also been sung by Singa, along with Mankirt Aulakh, and together they have done an amazing job, to say the least. The video features the two of them and we cannot help but drool over the amount of swag these two songsters are oozing out. We knew the song was going to be an amazing hit when after being released on 2nd February; the song garnered as much as 9 lakh views within just twenty hours. The fans of Punjabi music will forever be grateful to Mix Singh who is behind the peppy music of the song, and the lyrics of the song have been penned by Singa himself. Prior to the release of this dhamakedaar song, Mankirt Aulakh had a blast for a start of the New Year when his song, “Purje” released on 1st January, 2019, and the song was an instant hit. This song was also a joint collaboration of Singa and Mankirt Aulakh. So we already have a hunch of how great his new song is going to turn out. 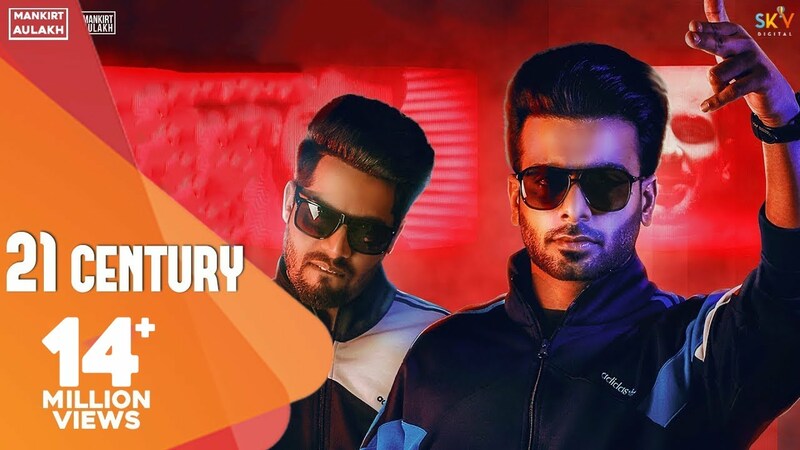 This latest addition to the album of the Punjabi songs is indeed a priceless one when you want to party hard and we are sure you won’t be able to stop tapping your feet to the beats of Singa and Mankirt Aulakh. We are sure that together this duo has the capability to set any stage on fire. Previous article20 of the funniest tweets by Ryan Reynolds! Next articleRemixed Versions Of Indian Food !